Miscarriages are a part of reality, and in some cases, women don't even realize they are pregnant. That seems to have been the case after a cleaning crew at LaGuardia Airport discovered a fetus in an aircraft bathroom. Authorities are trying to locate the mother of the fetus while several dozens of the plane's passengers were saddened to hear of the reason for their delay. One passenger said, "I can’t believe it. I think it’s awful. Abandoned fetus on a flight? That’s terrible." A local news reporter said the fetus was found in the aircraft's toilet and appears to be 5 or 6 months old. 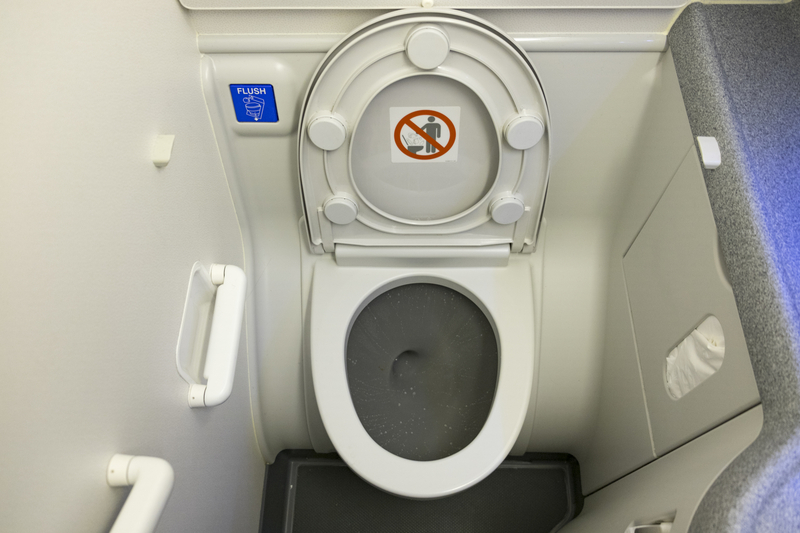 The miscarriage was discovered in one of the four bathrooms aboard an American Airlines jet. American Flight 1942 arrived in Queens around 11 pm Monday evening from Charlotte. After all of the passengers had left the plane, the jet was sent to Hangar 5 for maintenance. During routine a cleaning, workers discovered the fetus. Investigators are reviewing the surveillance video from Charlotte in hopes of identifying any pregnant passengers who may be the mother of the child. A statement from American Airlines said, "As we continue to learn more about this tragic and sensitive situation, we are actively cooperating with law enforcement in their investigation." One passenger named Barbara Morris said she wondered whether the mother had a miscarriage and panicked. "And the person had become afraid, but just to leave it like that and to say nothing, that’s unconscionable," Morris added. The fetus was transported to a morgue in Queens where an autopsy will be completed while the district attorney's office works with Port Authority Police to identify the mother. United - When you have to be there but it’s optional that your dog makes it. Fly American - Where it will only cost you your first born! On second thought, this probably had to do with trauma from the thorough body cavity search from TSA upon boarding.